Is Bitcoin Dead? Making money on Bitcoin or other Crypto is not simple. Attend this event and start making money from Cryptocurrencies. Do you feel current price is too high? That is because you don't understand price. Meet real people who have multiplied their investments. Listen to many ways you can make money from this revolution and how to get started. Don't do the mistake of thinking you can just buy and keep. Do you know you can earn 'interest' on your bitcoin? Do you think you can just buy a Bitcoin and Keep with you and that is enough? Wrong! That is the biggest mistake most of the newbies do. You need to learn how to keep your bitcoin safe during 'forks'. 2017 alone saw 6 forks. You also need to know how to properly backup your bitcoin safely, in case 1 bitcoin becomes 100k one day, these skills will save your skin and money! Bitcoins being stolen worth millions of dollars is common in news because most people are not clear how to keep their coins ultra secure. Get all your Ifs and Buts answered. Come and Learn how bitcoin can make you rich and why its price will continue to rise. Let me explain why it is not a bubble. Its probably your last chance to get on this train. Hello, my name is Raj and I want to share with you how I have been trading cryptocurrency's profitably and how you can do the same. I will also share a few strategies to make money using Bitcoin and you can implement them too, immediately; even if you are not interested in trading. What excites me the most, is that for the first time common man has the chance to invest small amounts (one can even start at $500) and take part in this exciting new development. Most other investment opportunities like Stocks etc, need a substantial capital and knowledge to get started. 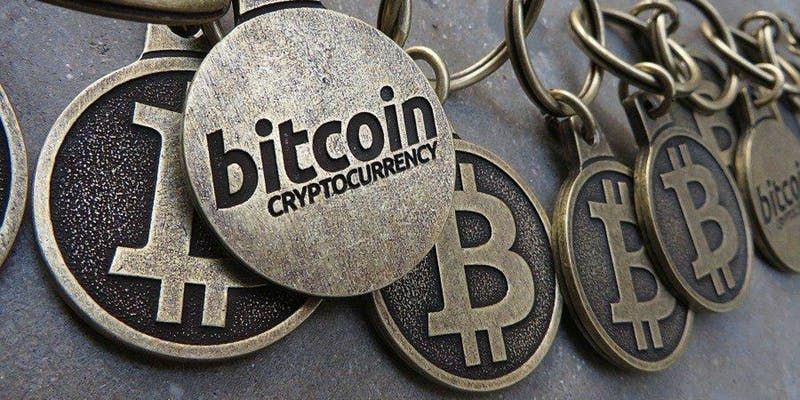 Bitcoin has been a constant source of interest and confusion since it thrust itself into the mainstream more than five years ago. Hence this seminar, to clarify those and get you started. But interest in bitcoin is now greater than ever. Its value has soared to above USD $19,000, a new high point, turning some people who hoarded vast amounts early on into millionaires. Learn what other cryptocurrencies can make you rich too. As of 2017 Japan has legalised Bitcoin and countries like India, Australia and others have government 'think-tanks' monitoring developments to strategise the adoption of cryptocurrencies. I firmly believe that blockchain and its implementation will change the way we live today and it is the right time to be part of this while it is still in early adoption stage. Early adopters benefit the most has been proven time and again. But why? Is bitcoin the future of currency? Is it currency at all? What is it for? And should I buy some? What are Altcoins? How important are they compared to Bitcoin? How to buy some? Can Bitcoin be traded? What is the risk? Get a deep understanding of the Cryptocurrency world and have your questions answered in this seminar. The trainer has been involved and coaching crypto and bitcoin investments since it was at $2500, learn from a Pro on how to buy cheaper than market price. Potential Altcoins that will grow like bitcoin in near future will be introduced in this seminar and you can get started right after the seminar with sufficient knowledge and strategies; even if you are not interested in trading. The building has carpark at level 2 at $1 per hour. Motorbike parking is free. The venue is immediately outside Tai Seng mrt on Circle line. Just a 1-minute walk from the Mrt exit B. You can see full details on the link. You can email ask@koreinfotech.com for any questions. You can Call us on 67263565 for any enquiries about the event or location.